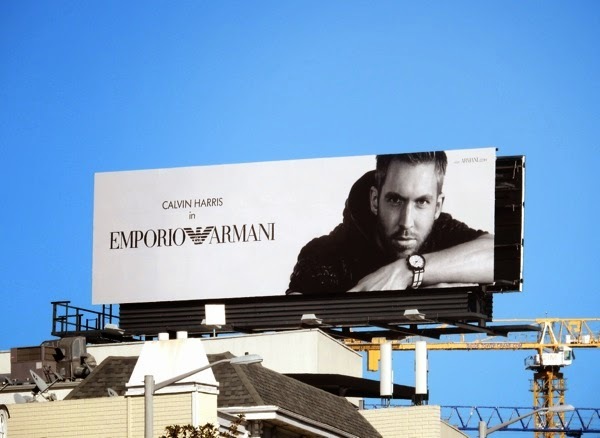 He may be making headlines at the moment for dating Taylor Swift, but superstar DJ Calvin Harris was already famous and photogenic enough before being the latest music power couple to be the new face of Emporio Armani this season. 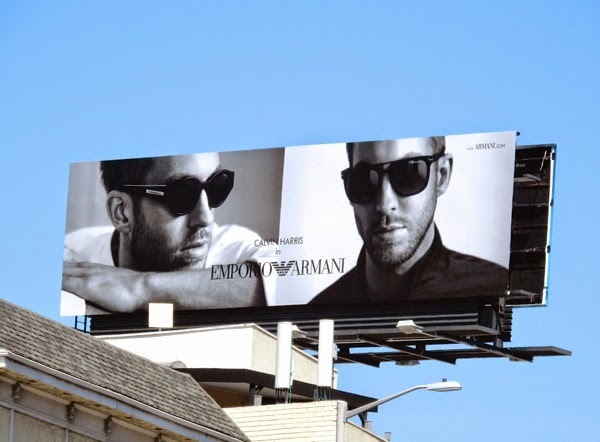 The highest-paid DJ in the world certainly has the smoldering looks for modeling, and a fashion ad campaign always looks more stylish and classic in black and white. 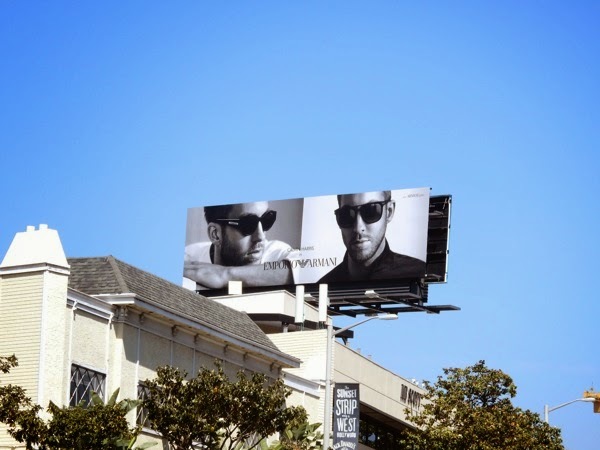 The cool watch ad creative for the Italian designer fashion label was snapped along the Sunset Strip in West Hollywood on February 9, whilst the sunglasses billboard was spied in the same ad location on April 2, 2014. 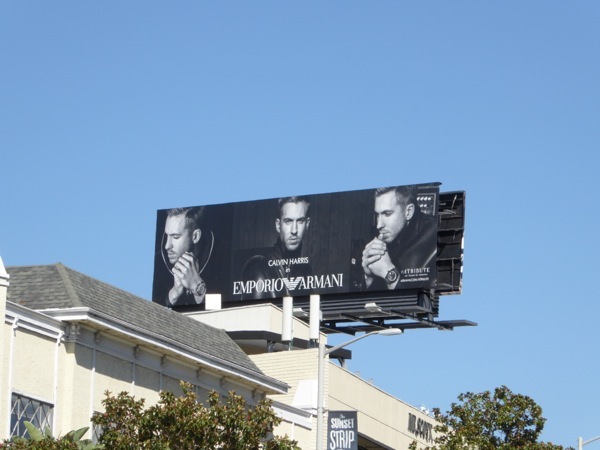 You could also recently spy the 31-year-old 'bad boy' in these DJ billboards for new Las Vegas nightclub Omnia. 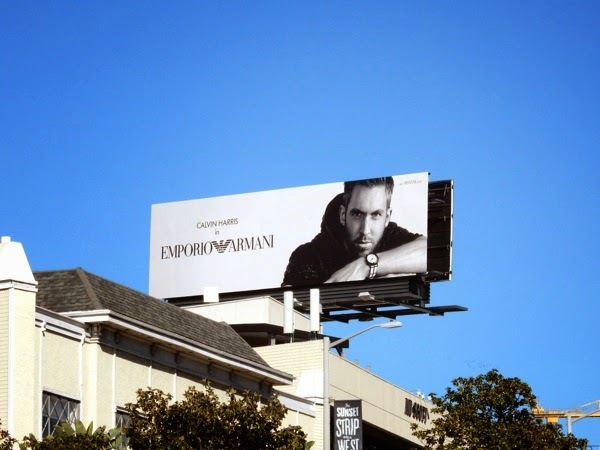 But the important question is, we've seen the ads for timepieces and eyewear, when do we get to see the handsome Scot modeling Emporio Armani's designer underwear in the skies of L.A. like David Beckham and Cristiano Ronaldo before him. 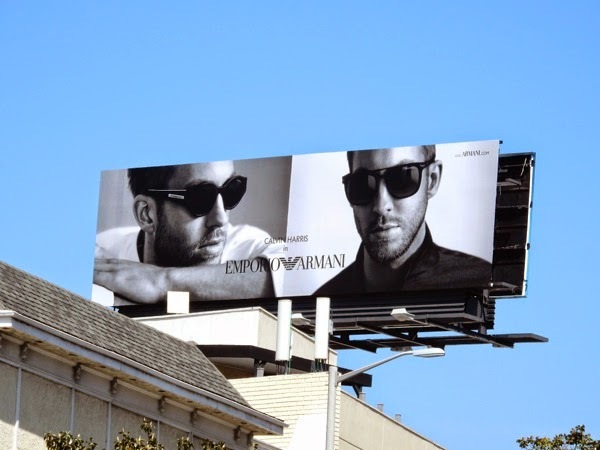 UPDATED: Calvin Harris is back in the skies of L.A. celebrating forty years of Armani in this new Fall/Winter 2015 billboard. 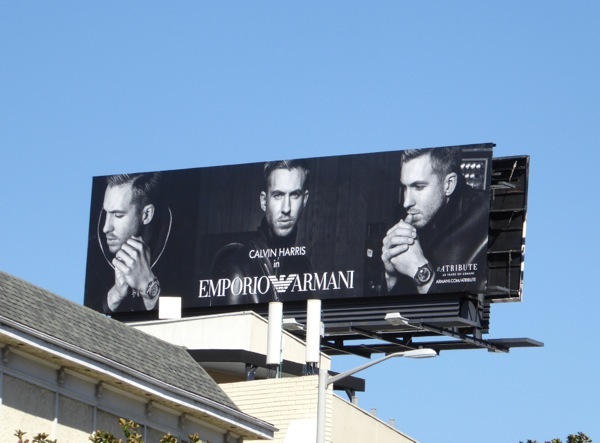 Obviously seeing him in double wasn't enough the last time, and now the superstar DJ is back in triple vision to pay tribute to Emporio Armani, snapped along the Sunset Strip on October 2, 2015.